For just $60 a year, the Addison Midday Rotary club will place an American flag in your yard on 5 special national holidays. These flags will be set out the weekend before the holiday and remain out until they are picked up the weekend after the holiday, except Labor Day when they will remain in place until after 9/11. When you first subscribe, we will place a small PVC plastic sleeve in your yard to hold your flag. The sleeve will be at ground level and include a cap to be used between holidays. Typically, the sleeve will be in your yard about one foot from the edge of your sidewalk. In areas without sidewalks, it will be about four feet back from the curb. After installation, we will place a spot of blue paint on your curb to line up with the pole base and identify you as a subscriber. 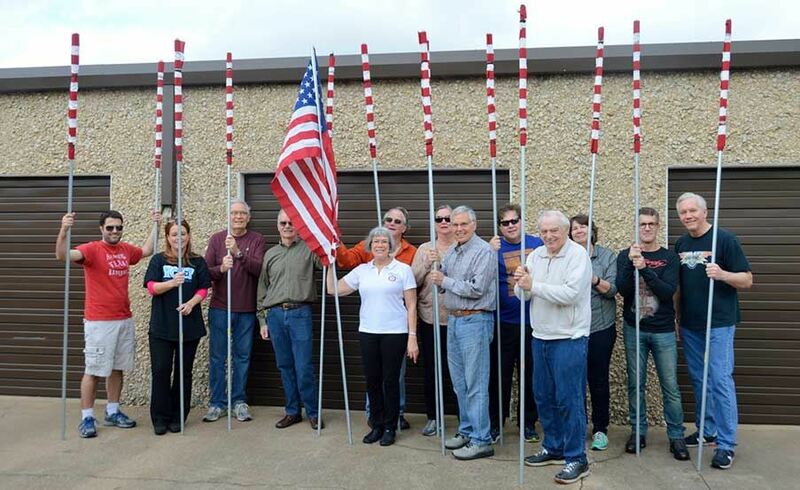 Stand shoulder to shoulder with your fellow Addison residents as we show our neighbors that the spirit of America is alive and well in the Addison community.